Fun Faith Fact! : Once interviewed Billy Graham on television. 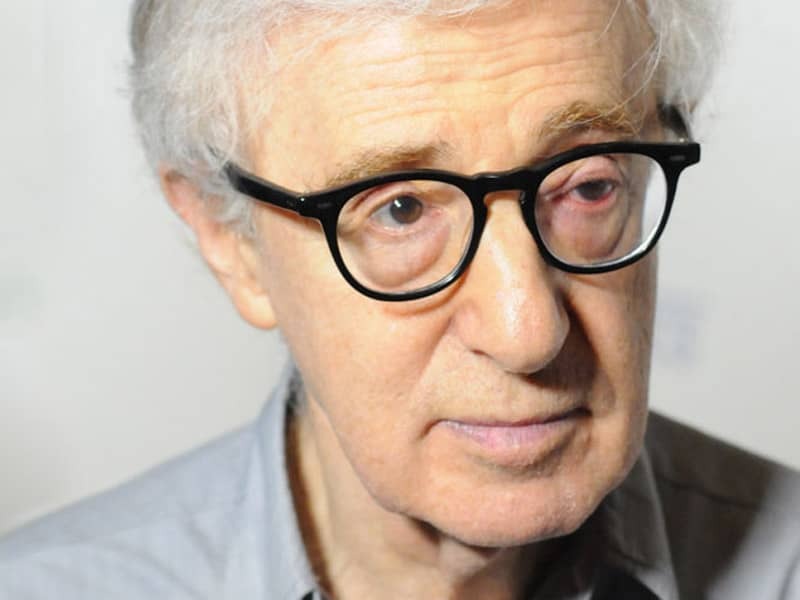 Allen is a prolific film director with nearly 50 films to his credit, including Manhattan and Annie Hall. He often stars in his own films, playing neurotic characters who are thinly disguised versions of himself. Allen grew up Jewish but rejected the religious aspects of his upbringing later in life. “It was a joyless, unpleasant, stupid, barbaric thing when I was a child and I’ve never gotten over that feeling. If you’re talking about religion it’s one thing; I don’t hold Jewish religion with any more seriousness than I would any other,” he once told a biographer. Allen is married to Soon-Yi Previn, and the couple have two adopted daughters. Image courtesy of David Shankbone. According to the Humanist worldview Jacques Monod the universe is silent about values and therefore his good friend Woody Allen demonstrated this very fact so well in his 1989 movie CRIMES AND MISDEMEANORS. In other words, if we can’t get our values from the Bible then the answer is MIGHT MAKES RIGHT!!!! The question now becomes do you want to know if there is a God or not? Are you willing to examine the same evidence that I provided to the world’s leading atheistic philosopher in 1994 (Antony Flew)? Here some are links below that examine the subjects that Antony Flew studied before he switched from away from atheism, followed by the sermon by Adrian Rogers that I provided to Antony Flew and he said he enjoyed listening to. Former atheist Antony Flew pointed out that natural selection can’t explain the origin of first life and in every other case, information necessarily points to an intelligent source!